Big fan of: You! Clipper is very affectionate with people he knows as long as they greet him appropriately. He can be shy at first, but warms up very quickly! He also enjoys daily running exercise. Not a fan of: Other dogs. Clipper doesn’t seem interested in making doggy friends. Special features: When you’re out for a walk, Clipper will stick right by your side—unless he sees or sniffs something he’s really interested in! With guidance and supervision in his new home, Clipper will learn quickly to only use the bathroom outside. Dream home: Clipper would do best in a home with adopters with plenty of dog experience and teens-and-up. 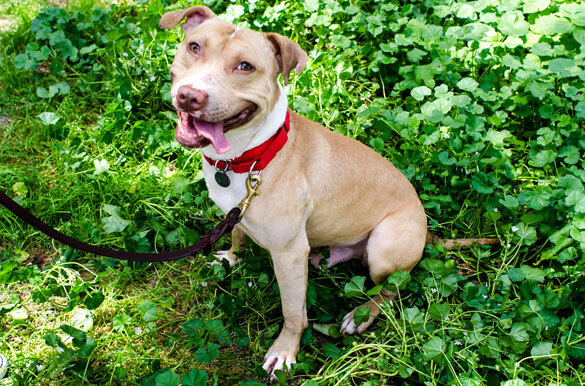 Check out this adorable video of Clipper, who loves nothing more than a good roll in the grass.